GLENPOOL, Oklahoma (WTVD) -- Welcoming a new child into the world can be exciting. But what could make that magical experience a bit more exciting? Going through it with six of your friends. That's what happened to the men at Glenpool Fire Department in Glenpool, Oklahoma. 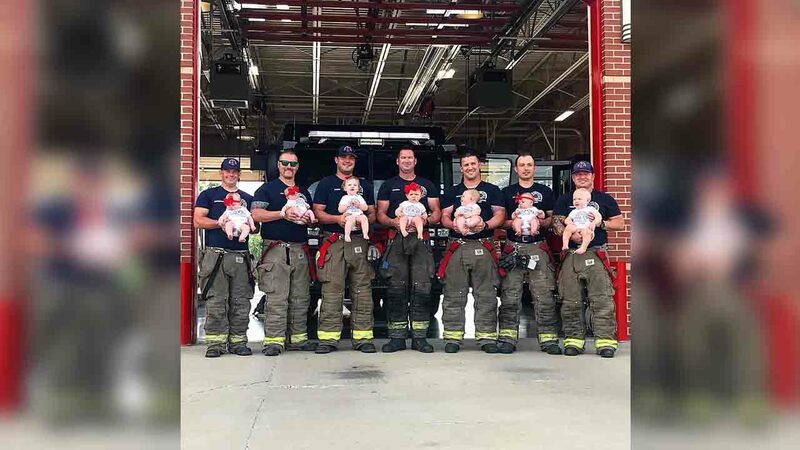 Seven of the department's 20 firefighters welcomed new babies into their families within months of each other. A precious photo of the men and their babies posing outside of the firehouse was shared to Facebook. "Don't drink the water at the GFD," Sarah Hutchinson, one of the firefighter's wives, joked. Hutchinson said the "baby boom" consisted of five girls and two boys.